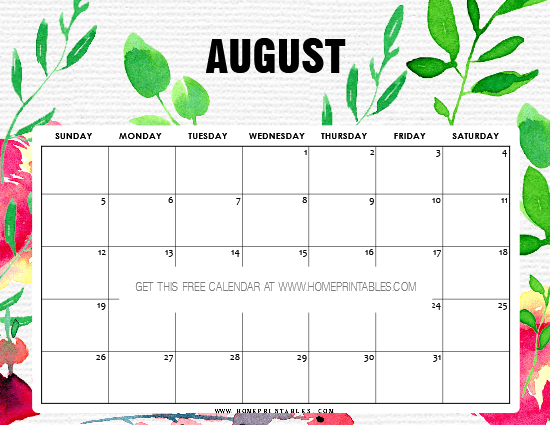 10 FREE Printable August 2018 Calendar: Prettiest Designs! 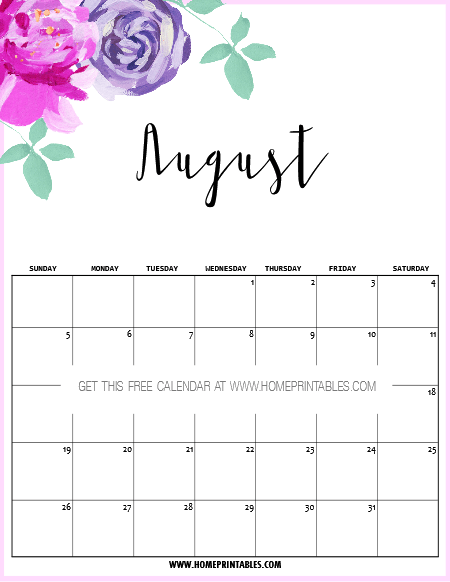 In need of a free printable August 2018 calendar to use? We’re happy to share 10 pretty designs that can all be downloaded for FREE! Get ready to stay organized and be productive all through out the month. Snag your free calendar today! Do you still like writing on calendars? If you’re anything like us, a printed calendar hugely helps in getting our life organized. How about you? We like to use our monthly calendars to keep us on track of our schedule. And this is the very reason why every month, we create some pretty printable calendars for everyone to enjoy. Without further ado, here are the lovely designs we have for you for the month of August. Scroll down to pick what to print! Let’s go! 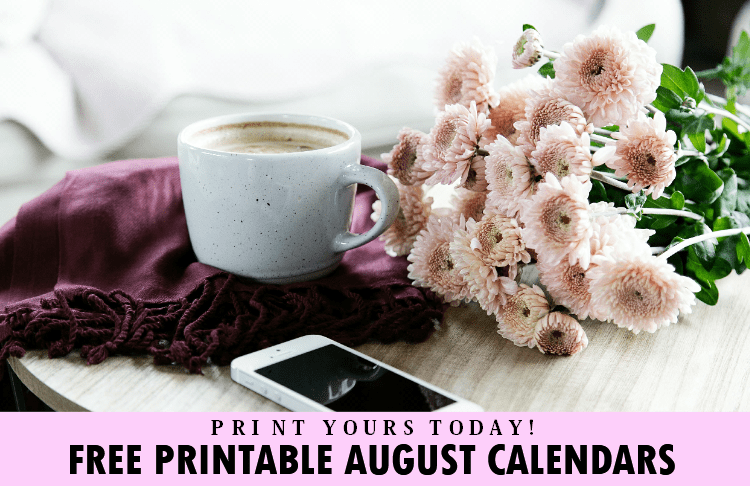 Free Printable August 2018 Calendar: 10 Pretty Designs to Choose From! 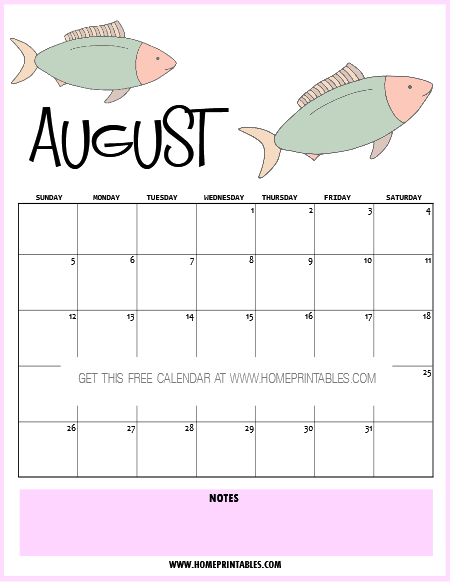 Yup, you are about to receive 10 beautiful free printable August calendars that come in varying themes and designs. Ready to snag yours? Let’s start from this calendar with watercolor elements. We love the refreshing look of it! 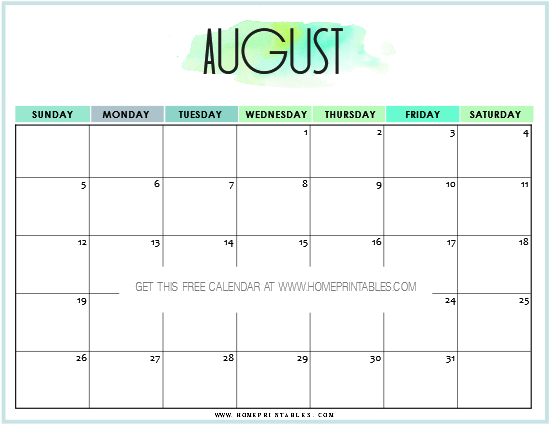 Not only will it make a good calendar to use in your office, it will also make a pretty calendar display in your home! 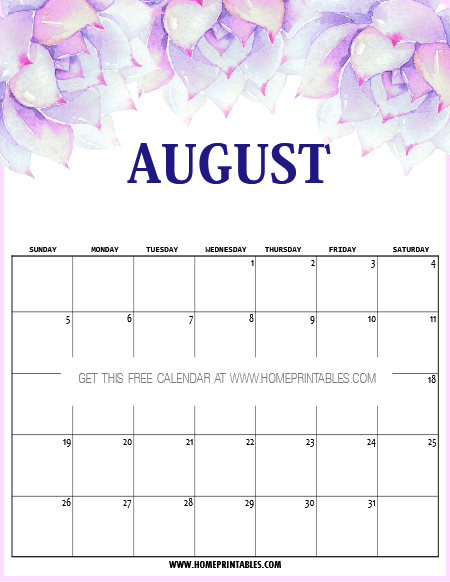 Use this free printable August calendar to keep track of your work schedule or as a meal or activity planner for your family. The second calendar that we have here is adorned with blue petals and it’s lovely! What’s extra special about this calendar is that it has a room for you to jot down your priorities for the month. How do you like it? Next up is another calendar in abstract background this time. Where do you think you can use this? 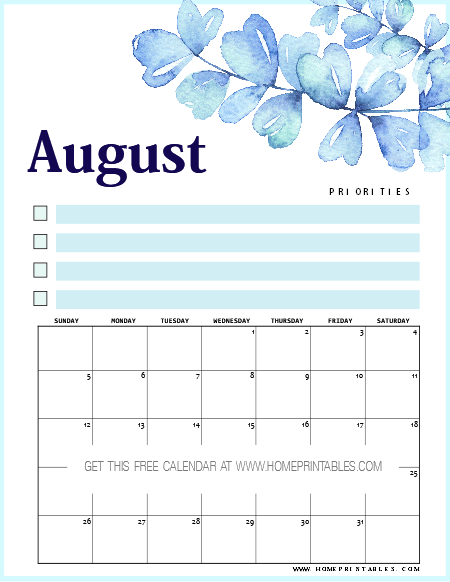 Looking for an August calendar in dainty florals? You might want to print this next one that we have for you. We love that it’s pretty yet easy on ink! The next calendar that we have here is for the kids. It comes fun and cute with a room for notes at the bottom of the page! You can print this for the school kids in your life! 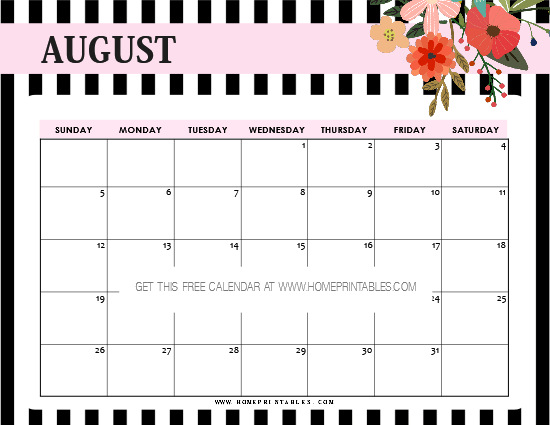 Next up is another pretty August calendar that comes in adorable stripes and floral design. Your little school girl will love to use this. What do you think? In the mood to use a calendar with minimal design? This clean calendar design is for you! For sure, this calendar will help you organize your schedule! Oh how we love this next calendar that we’re sharing- it’s truly pretty in purple succulent design! This will make a great calendar to use in your kitchen! 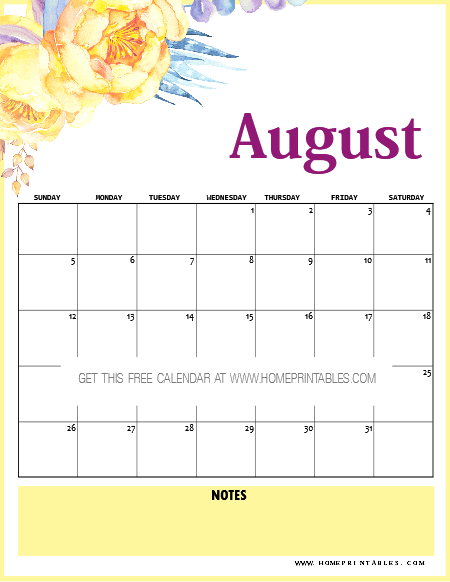 The last one that we’re showing you is another pretty calendar in yellow florals. This is the calendar design that we will be using for our blog editorial. How about you? 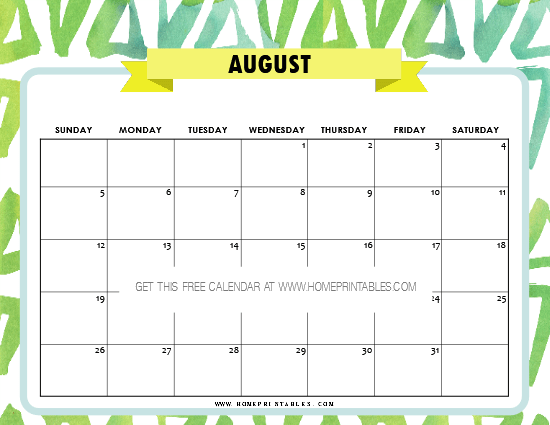 Loving the free printable August calendar designs that we have just shown you? Snag your copy HERE for the horizontal calendars and HERE for the vertical calendars. By the way, these calendars are designed for printing is US standard letter-size paper but can also be printed in A4. Have a great month ahead! May these calendars help you stay organized!